Namaste! Our MTN YOGA Retreat in Ubud, Bali is our signature 6-day experience staged at the award-winning Alila Ubud. You’ll practice yoga in Ubud’s lush rainforests amongst the Gianyar and its many crab-eating monkeys. We accept just 8 guests on each private journey, allowing us to customise your experience to suit your unique requirements. We start a dialogue with you before your trip even begins so we can guide you on your own unique path. You’ll enjoy the finest international cuisine at the Plantation Restaurant. To unwind, swim in the saltwater infinity pools, indulge in luxurious spa treatments or enjoy cocktails at sunset. Experience Ubud’s stunning natural environment. Immerse yourself in Indonesian culture. Welcome to Denpasar, Bali’s capital! Arrive at the Denpasar International Airport (DPS). Our 5* transfers will be waiting for you at the airport, upon your exit look out for the K-Line Logo that will be displayed by your driver. Perched at 2,000m above sea level, the airport transfer to Alila Ubud Resort takes approximately 2.5 hours. Your journey will take you from the capital city into the heart of the Gianyar in Bali’s interior. Arrive at the Alila Ubud Resort for check-in, enjoying refreshments before settling into your room. Later in the evening, join our team for your welcome dinner and briefing for the days ahead. Enjoy a good nights rest and acclimatisation. The beginning of your MTN YOGA program, its time to Elevate Your Practice. Our tailored Yoga progression program caters to all individuals with a keen interest in the art-of-yoga and core practitioners. 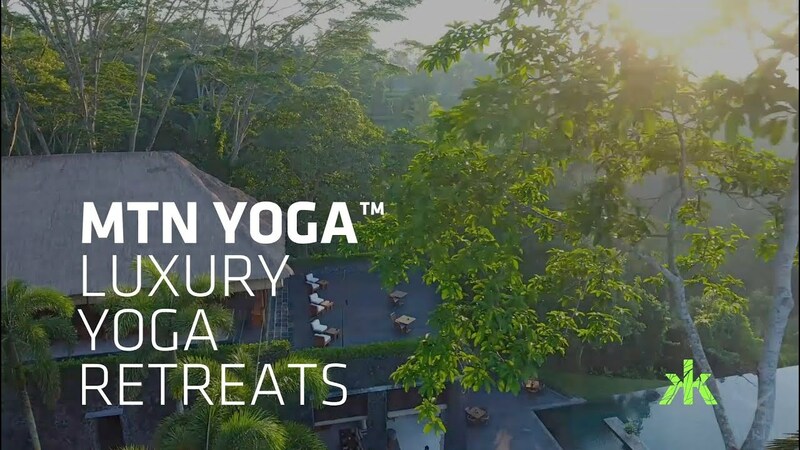 Our sessions are staged in key locations throughout the surrounding Ubud area offering unlimited inspirational locations to practice yoga providing a distinct experience unique to our MTN YOGA programs. Say farewell to your first MTN YOGA experience, instructors and new friends. Embarking on your journey home refreshed, revitalised and re-energised.